The idea for this recipe comes from our constant thoughts about food from New Orleans. We can't get that Cajun flavor out of our minds. The recipe is pretty simple - grilling kebabs, toasting buns and assembling. There will be many more versions of these kebab dogs to come! Clean the shrimp by removing the shells and veins. 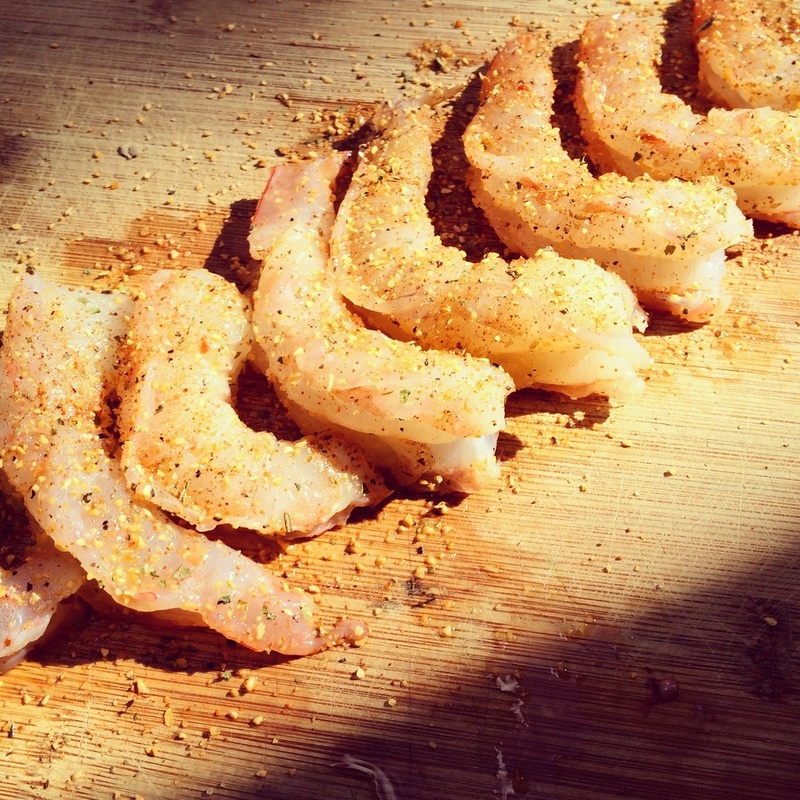 Sprinkle Cajun seasoning on top of shrimp and let sit for 20 minutes. In the meantime cut onions into 1 inch pieces and the andouille into 1/2 inch pieces. Once the shrimp are don't marinating cut them into 1/2 pieces. 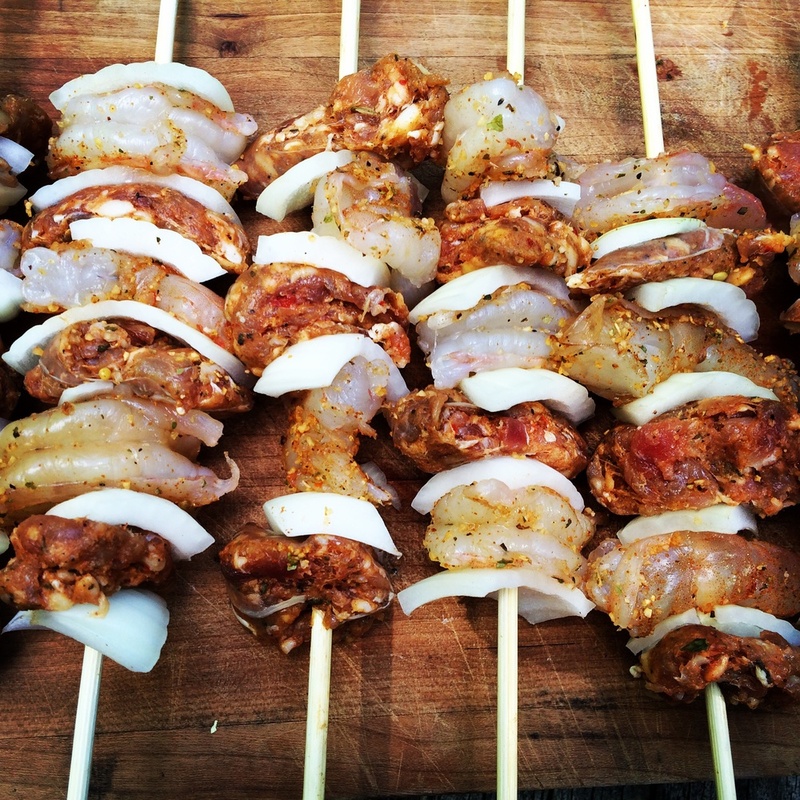 Assemble the kebab stick by rotating sausage, onion, shrimp and then onion. 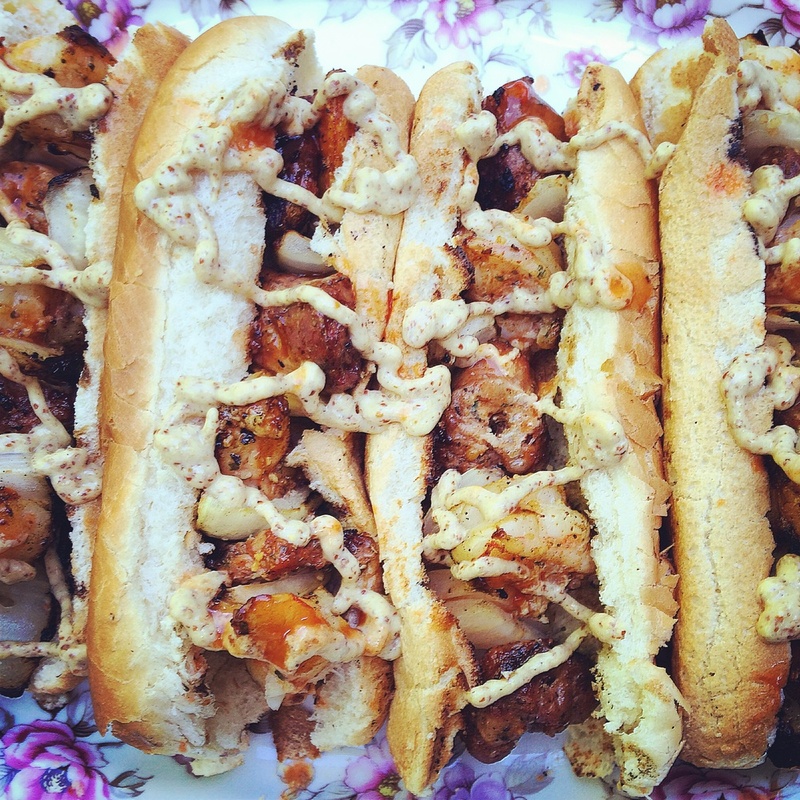 Make kebabs as long as a hot dog roll. Fire up your charcoal or has grill. Charcoal to about 350 gas to medium high heat. Place skewers directly over heat. Turn them after five minutes. Take the kebabs off the grill and slide the meat off the skewer into toasted hot dog buns. 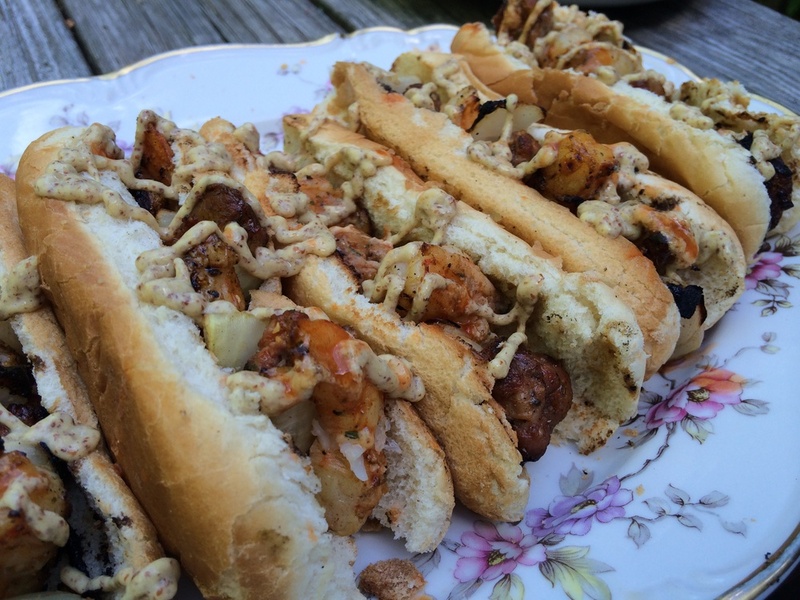 Put mustard on the dogs and sprinkle with a touch of Cajun seasoning. Enjoy! !